New Delhi, Aug 24 : With over 5,300 recipients between 2004 and 2017, India is the largest beneficiary of the Erasmus scholarships for higher education offered by the European Union (EU) member states, EU Ambassador to India Tomasz Kozlowski has said. “Since 2004, Erasmus was thrown open to third countries. Indian students have been the number one beneficiaries of this scholarship,” Kozlowski said on Wednesday here at an event to mark the 30th anniversary of the launch of Erasmus (European Region Action Scheme for the Mobility of University Students). He said that Europe was “an excellent destination for international students on account of the high quality and wide variety of courses on offer, the richness of campus life and the proximity to Asia”. Launched in 1987 with only 3,200 students in its first year, Erasmus has developed over the last 30 years into a leading scholarship programme benefitting almost 300,000 higher education students per year. 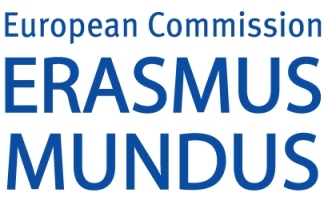 “With over 5,300 students from all parts of India having received Erasmus Mundus or Erasmus+ Masters scholarships between 2004 and 2017, India is the overall single largest beneficiary of the programme,” a statement issued by the Delegation of the EU to India said. It stated that while India ranked second in 2016 with 62 approved scholarships for masters and doctoral degrees after Brazil with 79, the number of these scholarships allocated to Indian applicants in 2017 rose by 20 per cent to 74, “representing 25 per cent of the overall mobility flows selected for funding in the period 2008-2012 in Asia”. “A significant development during this period is the increase in the percentage of women participants by 30 per cent from 33 per cent in 2008-2012 to 43 per cent in 2017,” it stated. According to the statement, around 90 per cent of Indian recipients of the scholarship have returned. Engineering has been the largest area of study (25 per cent), followed by natural sciences (13 per cent), and business, economics and management (10 per cent). Kozlowski said that with over 50,000 Indian students, Europe was now the second most preferred educational destination for Indians after the US. Stating that the Erasmus programme received support from the highest levels of the EU, he said that Federica Mogherini, Vice President of the European Commission, was one such beneficiary.